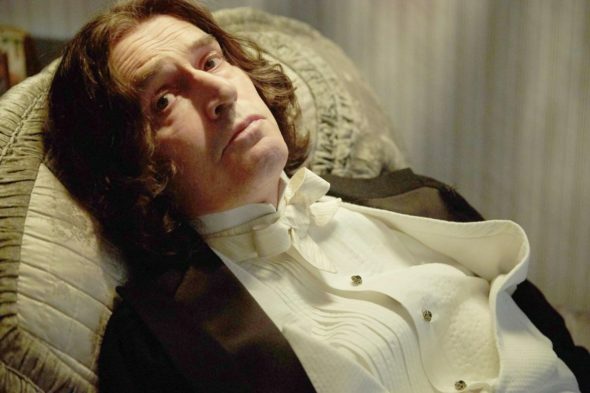 Oscar Wilde, by way of writer/star Rupert Everett, wonders these potent lines partway through The Happy Prince, director Everett’s biopic of the infamous decadent/undeniable genius. Everett’s tale flashes backward and forward but mainly focuses on the period between Wilde’s 1897 release from prison and his death in 1900. A rather bleak time in a very rich and colorful life, but Everett’s execution never forgets the heights, and his performance is haunted with the fall. Upon his release, Wilde finds support with sometime lover and literary agent Robert Ross (Edwin Thomas) and writer/friend Reginald Turner (Colin Firth – delightful, especially when his character is not the focus of a scene). But Wilde cannot or will not deny his desire for Alfred “Bosie” Douglas (Colin Morgan). It is a perfect vehicle for a film that lays bare this particular genius and that rumination on running toward ruin. Only a few years earlier, Wilde’s ego required recompense from his lover’s father, who’d libeled him. Wilde’s suit, however, only uncovered his own then-illegal dalliances and instead of recompense he found himself facing hard labor. And yet, even with emotional support from his friends and financial support from his wife jeopardized by the decision, Wilde joyously takes Bosie back and the two travel to Naples to misbehave. Everett’s film more than forgives Wilde’s wildness, though it doesn’t go so far as to fully admire it. His lead performance is colored by an understanding of the difference between living lustily when you have everything, and when all that you once had is forever out of reach. As a writer and director, Everett tries too hard to use Wilde’s short story The Happy Prince to create a running metaphor, perhaps suggesting that Wilde’s end, like the story’s, reaches transcendence. It’s a tough sell, passing off the short’s image of voluntary self-sacrifice as analogous to Wilde’s fall from grace. Otherwise, though, the first-time filmmaker delivers a vision edged with the melancholy of a brilliant mind never again able to see the world as bountiful and beautiful. It’s as touching as it is resonant, and nothing in The Happy Prince articulates this tragedy as beautifully as Everett’s performance. It’s a performance simultaneously full of life and of death. You see the enormous loss, but more than that, the deflating ugliness of this world etched on Everett’s face, echoing in his every gesture. Everett’s instincts behind the camera come as a nice surprise. With more than 70 acting credits to judge by—many of them quite fine, some even awards contenders—the real surprise is that he had this performance in him.